Seniors from in and around the area have shown overwhelming interest in Silverado Village, a 55+ easy living community in Placerville. This is the perfect combination of welcoming friends and recreational activities all within a modern and relaxing environment. With the newly constructed homes that were meticulously planned and designed, Silverado Village is proving to be a popular option for seniors looking to buy in the Sacramento area. Residents have access to the Village Center, which has many high-end features to take advantage of, such as a spa, billiard table, a fully-equipped fitness center, and an indoor heated pool that offers multiple water aerobics classes. It also includes a community room that can be utilized for card games, chatting, or even just relaxing in the company of good neighbors. Delicious meals can be enjoyed at The Eskaton Lodge, or can be carried out or directly delivered to the home. 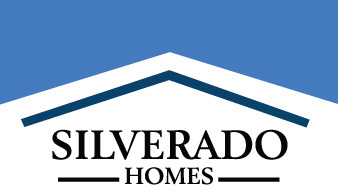 Silverado Village at Placerville consists of 113 newly constructed homes that range from 1,207 to 1,590 square feet. All homes in the community are one-story and were specifically designed with seniors in mind, from the no-step walk-in showers to the recessed lighting on all walking paths. The modern homes also feature easy-to-use lever style doors as well as emergency pull cords and remote pendants. Each home at Silverado Village consistently exceeds California energy efficiency requirements by more than 18%, and features R-8 duct insulation and tankless hot water heaters. All exterior landscaping and maintenance is taken care of by a professional grounds crew, and this even includes cleaning out rain gutters, watering the grass and outdoor plants, and mowing the lawn. The community also offers assistance with household tasks and common indoor issues such as changing out light bulbs, replacing air filters, or fixing random items around the house. Silverado Village provides a unique multi-level service approach to its valued residents by offering assisted living apartments and memory care options for homeowners if the need should ever arise. Homes at Silverado Village at Placerville start in the high $200,000’s and are selling fast.